In a his new document, Amoris Laetitia – The Joy of Love, Pope Francis calls for renewed efforts to strengthen marriages, while being compassionate and close to people in their frailty. The 264-page document with 325 paragraphs draws together three years of consultation with Catholics around the world, including synods in 2014 and 2015. Susan Wilson, The Catholic Institute’s Head of Business and Student Support, explores ‘conscience’ within the context of the document. If you have not read Amoris Laetitia, these comments may concern you. Does the document advocate adultery and immorality? Has there been a change in doctrine on marriage or other matters to do with the family? Well … no! Looking at it from a different perspective, if there has been no doctrinal change, does it have anything to say to those who feel excluded. Well…yes! Pope Francis reminds us that a faithful marriage is the ideal and reflects God’s desire for humanity. The role of the Church is to strengthen marriage and support married people. He discusses the many trials families face in our world. These can diminish family life and many problems are not of the families’ making. Pope Francis also acknowledges the difficulties facing gay people in the Church and advocates for a gay person ‘to be respected in his or her dignity and treated with consideration’ (AL 250). The document, echoing Thomas Aquinas, notes the importance of a person’s conscience; the pope writes: ‘We have been called to form consciences, not to replace them.’ (AL 37). Appealing to conscience is not a hole that one can drive an ‘immorality truck through’ as suggested by our commentator. Our conscience is at the heart of being human and we ultimately stand before God with our decisions. Pastors are called to work with those in irregular situations, discerning with them and guiding them; seeking ways to enable them to live out their baptismal call. All within the body of the Church need to have well-formed and well-informed consciences. It is not the role of the faithful people of God to judge fellow parishioners. It is not the role of the faithful people of God to exclude others or presume to know another’s heart. We all need pray and study to have informed consciences. (AL 250). 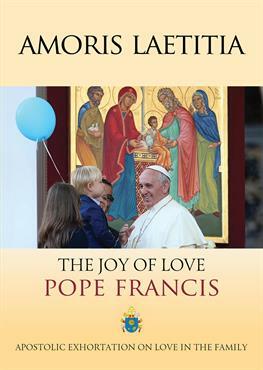 He writes: ‘I sincerely believe that Jesus wants a Church attentive to the goodness which the Holy Spirit sows in the midst of human weakness, a Mother who, while clearly expressing her objective teaching, “always does what good she can, even if in the process, her shoes get soiled by the mud of the street”.’ (AL 308).